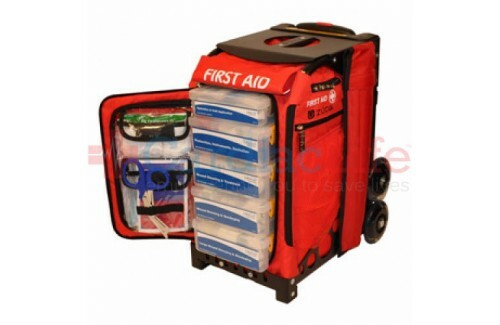 This MobileAid station meets OSHA guidelines and ANSI standards. 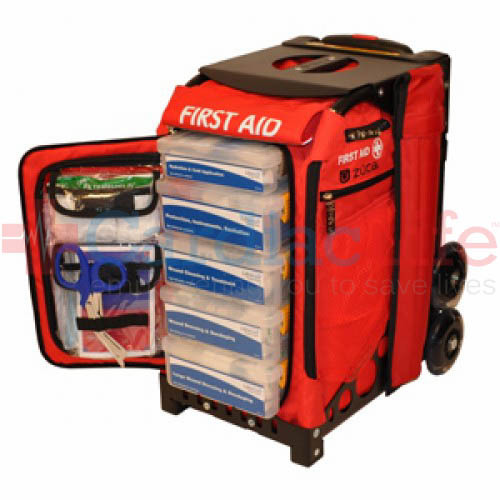 Superior mobility, organization, and supplies make this trauma first aid station the perfect replacement for heavy trauma backpacks and duffel bags or stationary wall-mounted first aid kits. (4) Eye pads with adhesive strips(6) Non-adherent pad 2 x 3"
Shipping weight & dimensions: 28 lbs; 15.5" x 19.0" x13.5"